Hannaway Hilltown is a family-run business established in 1970. We specialise in designing and making fine kitchen furniture. For us, a beautiful kitchen starts with a great design. We employ expert kitchen designers, not sales people. We offer a comprehensive kitchen planning and design service – which is absolutely free! We design kitchens that strike the perfect balance between their aesthetic and practical requirements. From traditional hand painted to contemporary gloss, from cool laminates to lavish stone, our collection of kitchen furniture provides a comprehensive choice of designs and styles in a wide range of finishes and colours. We also supply a full range of appliances, sinks, taps and modern accessories. Our highly skilled craftsmen make each and every piece of furniture with the utmost care and attention to detail. We use the finest timbers and superior components to ensure longevity and functionality. Soft-close drawers and doors come as standard and drawers extend fully for easy access. We place great emphasis on value for money. We do not cut corners. Rather we go that extra mile to ensure our customers get the most out of every penny they spend with us. Our business is built on good old-fashioned family values. Customer satisfaction is our everyday goal. We are committed to doing our very best to ensure our customers receive a friendly and flawless service from beginning to end. From concept and design to the final installation, we guarantee outstanding craftsmanship, uncompromising attention to detail and exemplary customer service. We hope to see you in our showroom soon. 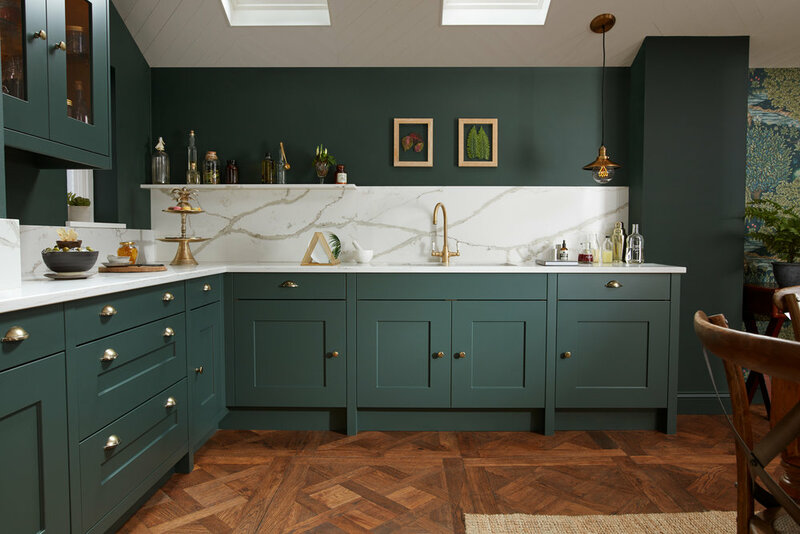 When it comes to having a kitchen installed in your home, chances are that you might not instantly think of navy blue as your chosen colour scheme. However, this particular shade can actually work really well in your kitchen, be it a modern style or a traditional style. But how? How can you make a navy blue kitchen work for you? Things you should be looking out for when you choose one. Boiling water taps, Should i get one ? It may sound like a bold claim to make, but changing your life, especially when it comes to your family and home, can be down to something as simple as the appliances that you choose for your kitchen. But how? How can appliances have an impact on your life and the life of those around you? Let’s take a look at some of the appliances out there that could really have an impact on your life. What is an induction hob and are they any good ? These hobs look similar to ceramic cooktops, however they work using a coil under each cook zone. Without a specialist pan on the hob, the coil will not produce heat, however, as soon as one of these pans are placed in the correct position, the electromagnetic power that has been stored within the coil has somewhere to go and can head into your pan to warm your food. When it comes to modern kitchen design, we are lucky enough to have plenty of colours and shades to choose from in our worktops and floors. You may not realise it, but having this wide range of choices in colour, can really have a huge impact on the overall feel of your kitchen. But how? How does the colour that you choose for your floor and worktops have that impact? Let’s take a look at some of the ways that it may influence the feel and look of your kitchen. Why the kitchen really is the heart of your home? Your home is a truly special place, not only is it where you and your family feel safe, but it is also where you will all spend a considerable amount of your time. When you think about your home, there is likely to be one room which is used a lot, maybe even more than the rest of your home. This is your kitchen. In fact, many people will often say that your kitchen is the heart of your home. But where does this come from? Why do people think that the centre of your home is this particular room? If you are going through the process of building your own home, then you have the opportunity to create a home that is not only unique on the outside but also the way it looks on the inside. 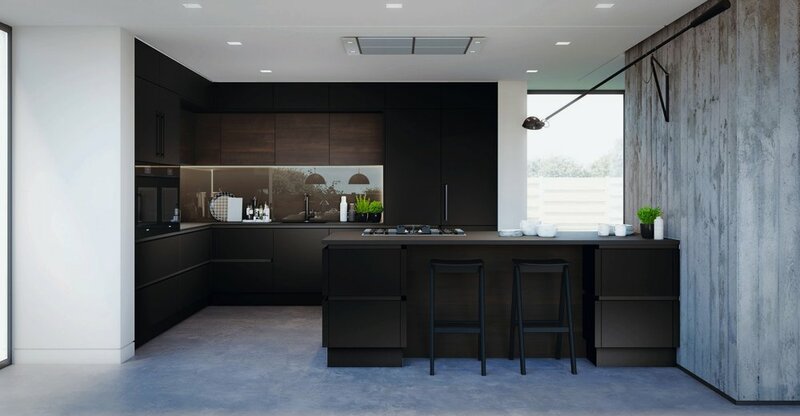 There is nothing better than putting your own stamp on a property, especially when you have been involved in its design but what does the build process consist of and how can it help you to achieve the kitchen of your dreams?